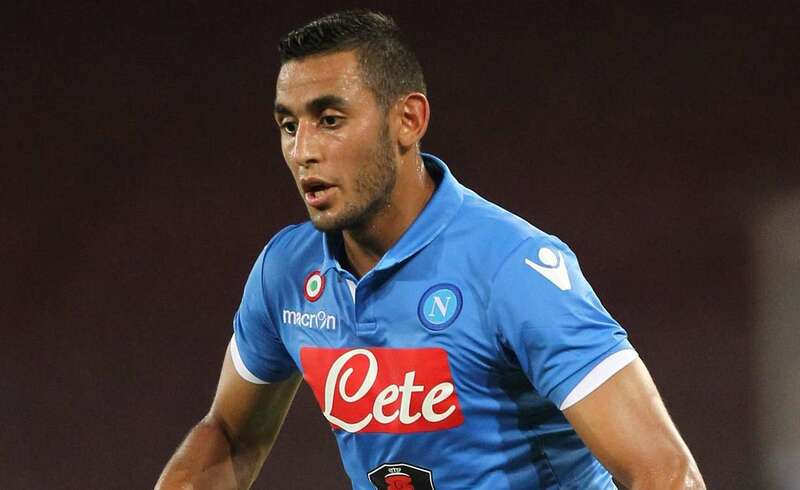 Napoli’s Algerian defender Faouzi Ghoulam has emerged as a target for English giants Manchester United. The 26-year-old Algerian international has been with the Serie A club since signing from French side St. Etienne in 2014. The left-back has established himself as a consistent performer for new boss Maurizio Sarri and he is regarded as one of the top left-back in the Italian game. This status, however, ensures he will not be sold for cheap and as such a bid of €60 million is reportedly being readied by Man United. A move, however, is more likely in the summer as Napoli will not entertain any offers for the player midway through the season as they continue to chase their first Scudetto since 1990. The Napoli star is also a reported target for both Chelsea and Liverpool – both clubs have been linked with a move for the player in the past. Since news of Napoli agreeing a deal for Benfica left-back Alejandro Grimaldo broke earlier this week, the English teams now fancy their chances of getting the defender. The left-back position has been a problematic one for Manchester United since the players available have not been able to claim opportunities to tie down a starting spot with Ashley Young recently having an extended run in the position. However, much criticized English left-back Luke Shaw has impressed in recent games starting the last 3 Premier League games for the club and has seemingly gained the managers trust. He will have to remain fit and produce consistently good performances to maintain his starting berth.